March Madness is here. The NCAA Men’s Basketball tournament schedule is almost set. One of the most enjoyable aspects about March Madness is filling out your own brackets, and following the game play as it unfolds to see how one is doing in their office or online pool. 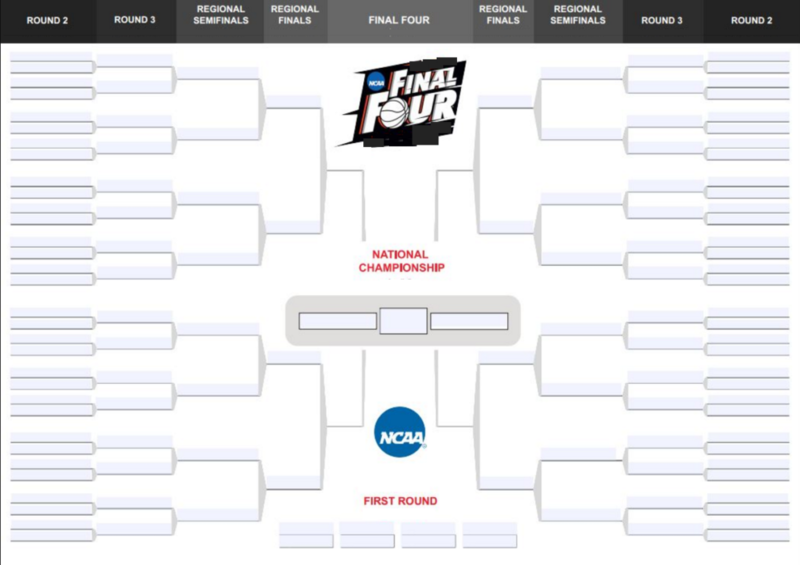 In order to help our fans follow the game action, we have published a fillable NCAA Tournament bracket to help basketball fans follow the action. Interbasket also has a printable 2019 March Madness Schedule that you can use to follow the game play. The first games in the NCAA Tournament will start with the First Four that gets started quite late in March this year. We weren’t kidding, the first games of the tournament doesn’t start until after Selection Sunday, that means that the 2019 edition doesn’t begin until March 19th! The 2019 NCAA Men’s Basketball Tournament gets started with the First Four. For the NCAA Tournament, the opening round of games is no longer considered to be round one. Instead, it is just the First Four, and the games that get started on March 17th, are now considered to be the first round of play. The First Four features the lowest four ranked teams that are at-large bids against the lowest four ranked automatic seeds to the NCAA Tournament. The games have proven to be pretty exciting over the past several years, so everyone is looking forward to see who will play in the opening salvo of games for the NCAA Men’s Basketball Tournament. The 2019 NCAA Men’s Basketball Tournament Championship game will be held on April 8th in Minneapolis Minnesota. The winner of the game will earn the 2019 NCAA Men’s Basketball Tournament Championship. If you would like to download a fillable 2019 NCAA Men’s Basketball Tournament Bracket, we have one posted for you here (Excel Format, blank), and a complete, fillable bracket here (Excel Format). 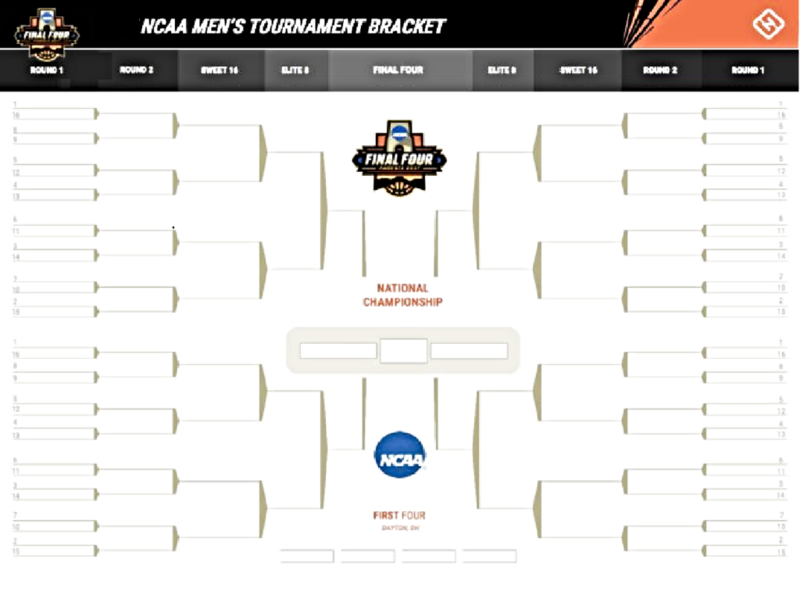 Also, if you would like to download and use a printable NCAA Men’s Tournament Bracket, we have one posted here.